Come and experience Carp fishing Spain, beautiful hard fighting river Ebro Spanish Carp, with the current river Ebro record a common Carp of over 72lbs live on this stretch of the river Ebro. Massive shoals of Carp patrol vast reaches of the mighty river Ebro, so big multiple catches are always likely. 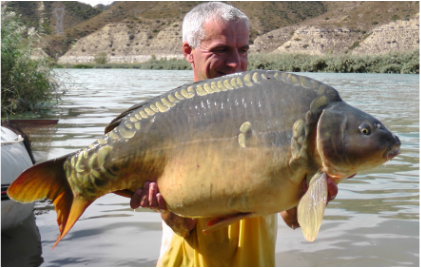 Many of the carp are now in excess of 50lbs, 40lb+ Carp are a regular occurence, with the average river Ebro Carp weighing over 25lb. 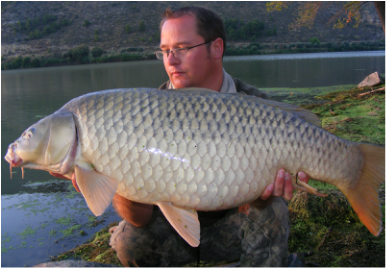 So if its a Carp fishing holiday with a difference you are looking for and your tired of the Carp fishing in France, why not give Carp fishing, on the awesome river Ebro in Spain a try.